Thread: Post Your Bad Boy! They are 26”. That’s actually what it size came with when I bought it new. Nice... Eagle at the back, Ikon 2.1s and a carbon seatpost? Which shifters did you use? Put SLX m7000 on mine. Which rims BTW & how significant is the trade-off in rolling resistance? It’s an aluminum Thompson seatpost. Still very light. 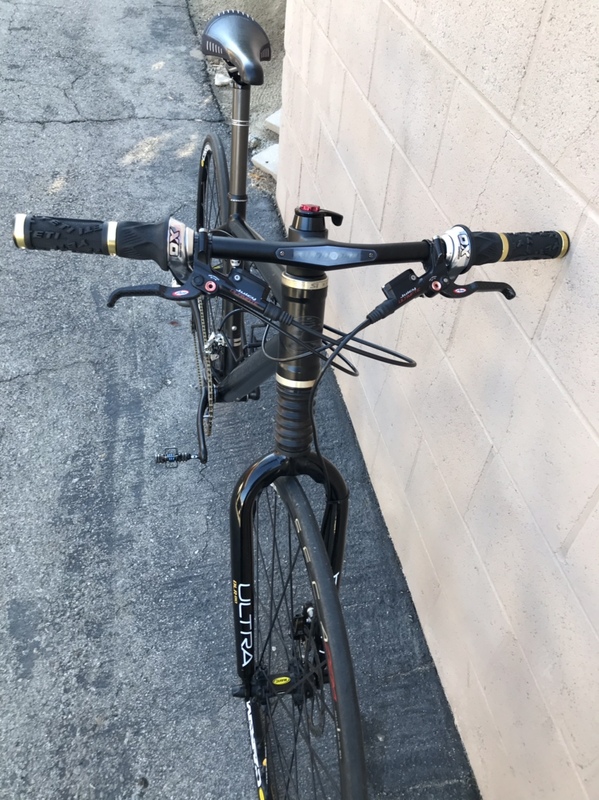 The bars are carbon. The tires are 2.25. The wheels are AlexRims Adventurer 2s on Chris King hubs. XX1 shifter and Guide RS brakes. I really don’t know on the rolling resistance difference as the bike came with 26” MTB tires when I bought it new. It had Coda Expert hubs and rims then with an XT drivetrain. It came with Magura Louise brakes. Nice. Did you do the work yourself or get the shop to do it. I'd imagine the hubs complicate things. 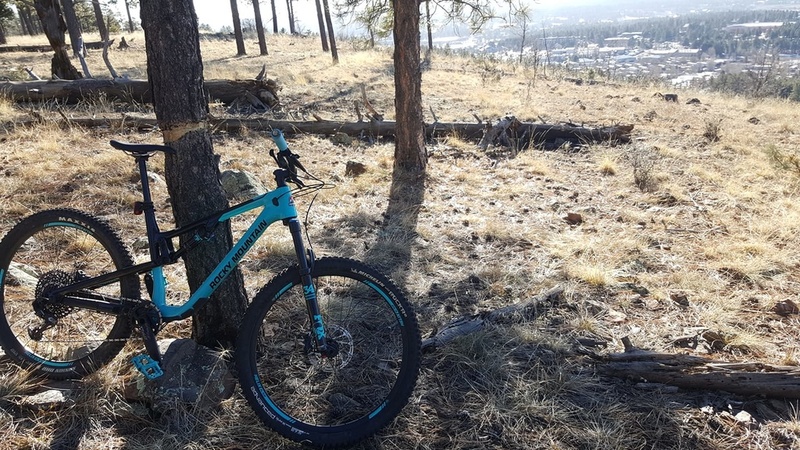 My mid-winter boredom continues: I now am wondering about changing lefty rigid fork of my BB1 2018 to a conventional rigid fork, a carbon one. This will allow me to put more front load for bikepacking, reduce fork stiffness and save some weight. 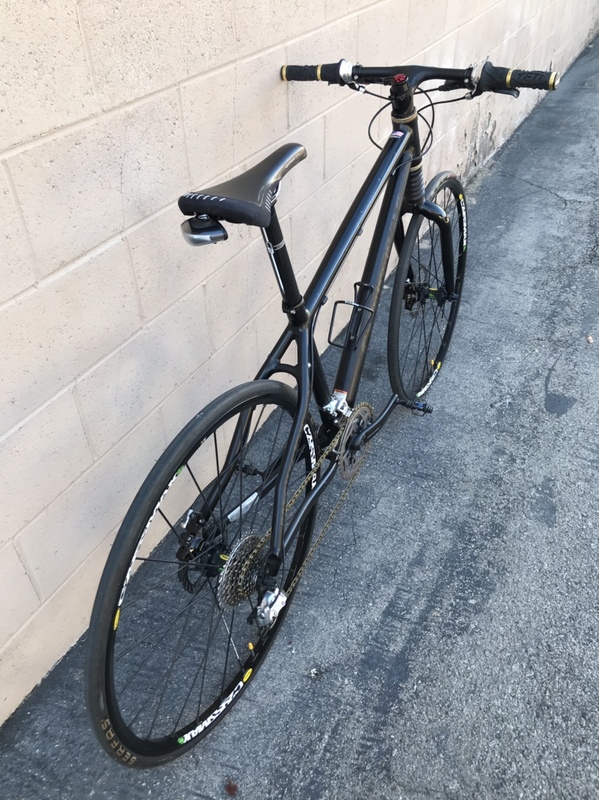 Any recommendations for carbon fork? I want to keep current bike geometry and it seems that axle to crown measures to around 500mm, which is quite long. Is it OK to use a fork which is labelled 29" with 27,5" wheels? Last edited by 841354; 01-09-2019 at 10:44 AM. That can be kind of tough. What size bike do you have? Pretty sure geometry has to change. I did mine, and it is much better then before. I have an XL. Which fork did you switch to? The problem is that I guess only straight steerer tube forks will fit, however now most of the ones offered are tapered. I'm new on this forum, I come from France so please be indulgent! 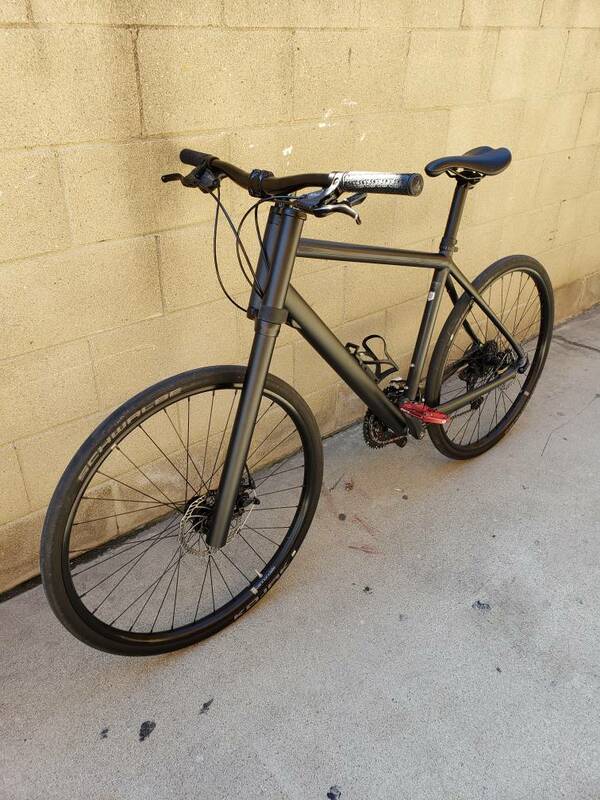 I used to ride a lot but my bike (Peugeot Fixed gear) is in really bad shape and I am thinking about replacing it with a Bad Boy. 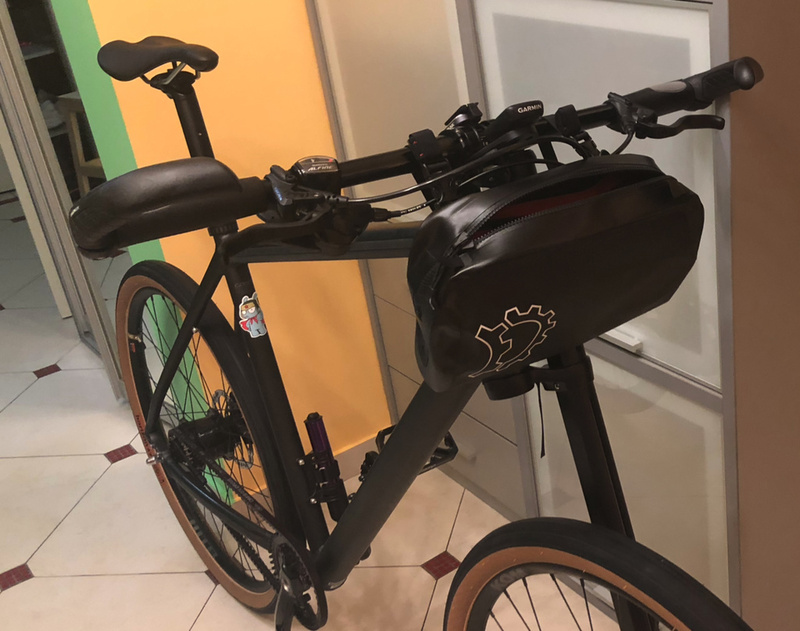 I found the Bad Boy 3 which costs 799€ but I don't really like the transmission and I'm quite bad when it comes to bike mechanic. 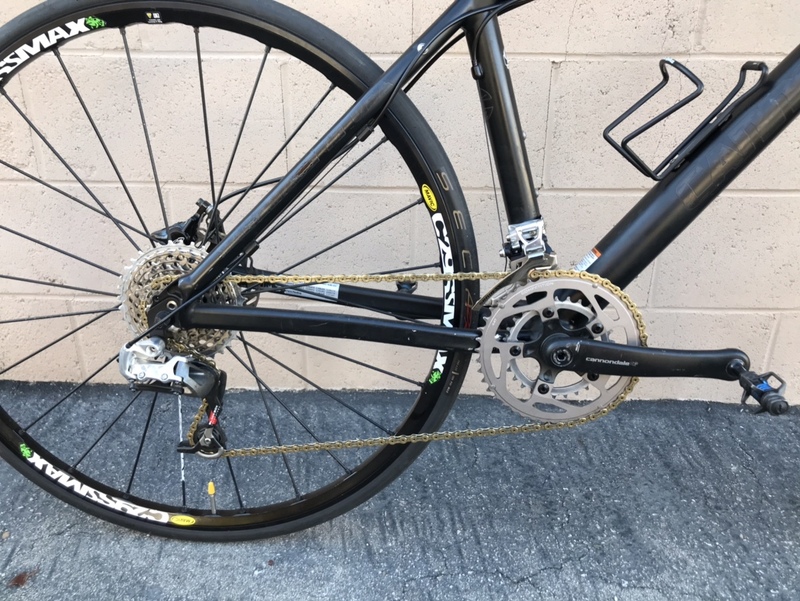 I would like to use SRAM Apex 1x on the Bad Boy but I don't know if I need to change the rear hub for the 11-speed cassette? Thank you! Can you guess the year and components of this nineteen pound rocket? Not sure of the year but here is my Bad Boy I have been building up. Yes, the WTBs are 21 mm internal. I should have gotten the 23s, but couldn't resist some crazy offer from Wiggle for the 21s, got 2 rims for about 35 Eur. Stock rims are 22mm, of a different type, not tubeless-ready. 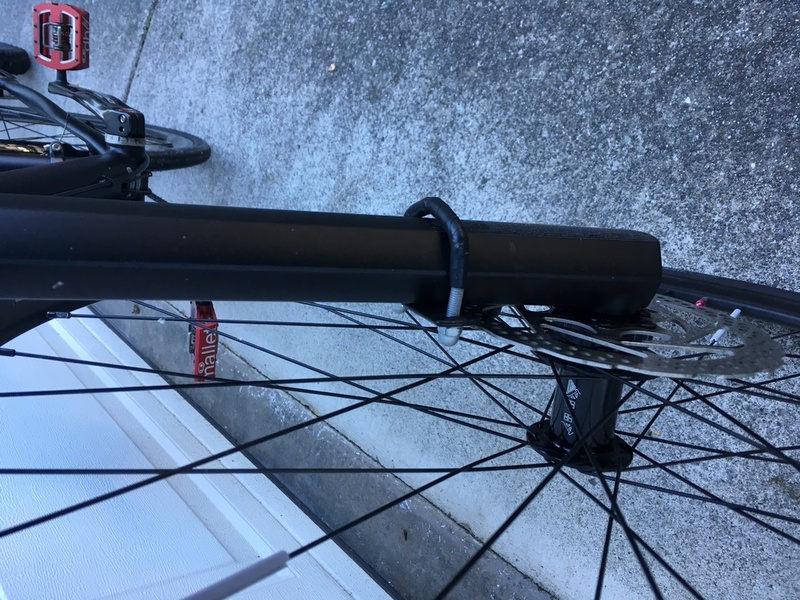 I instected their beads after I took them off, I think you could install tubeless on them, but I just wanted to stay on the safe side (tubeless tires+tubeless ready rims). 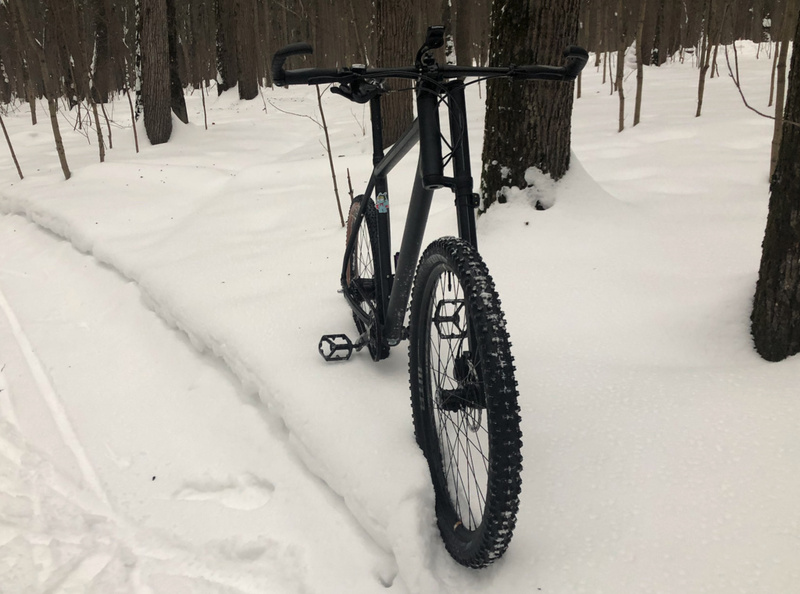 Over half way through the winter I decided that I miss some snow XC, so here isn the winter setup, I hope I can ride it this weekend. 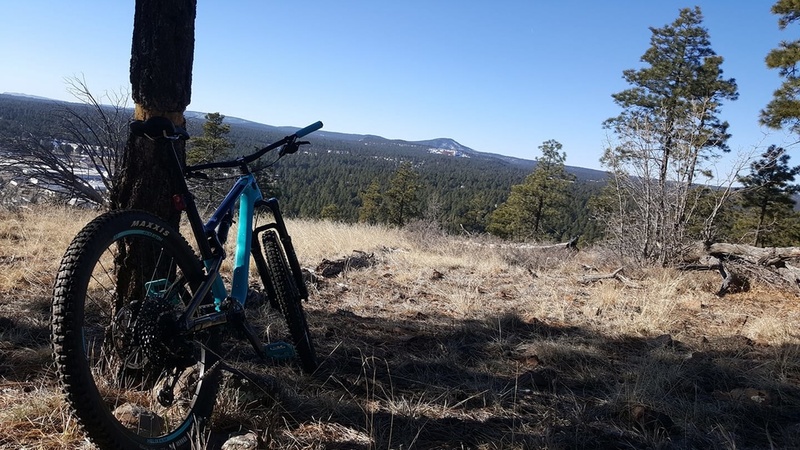 WTB Sendero in the back (47mm, nothing larger with knobs will fit in our frames), WTB Vigilante 2.3" up front. I couldn't seat the Vigilante with a floor pump properly, so I'll stop by my LBS today. 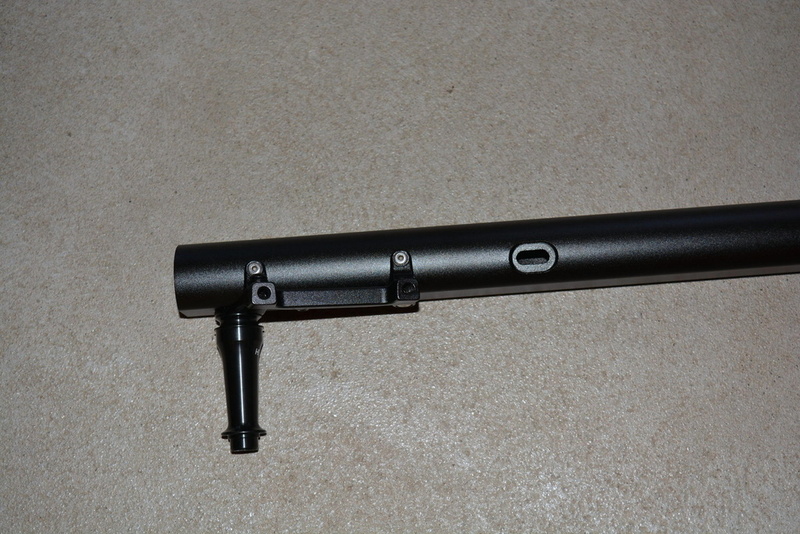 Then I was thinking of buying a replacement stock stem but the only ones available are 60mm long. The BB1 2019 is 65mm long and the bars (stock and new ones I bought) have an inward sweep of 8 degrees and are less then 3mm from fowling the top of the light pipe. Guess i need flat bars. Touched up the stem, hardly notice paint scuffs. Now I have to decide which bars. Any opinions ? Matches dimensions spec of stock bars except 5 mm longer. Would carbon be a waste on such a heavy bike ? 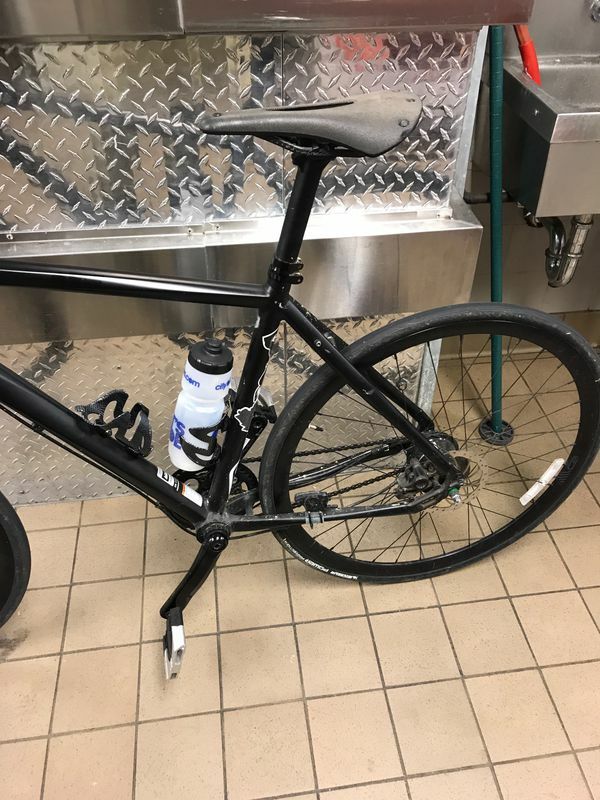 I am only replacing the bars as I want something matt. Compared to the carbon an extra 1mm rise, extra 1 degree on the back sweep and 2 degrees up. Hopefully still fit ok and not foul the lefty pipe. I am assuming by loosening the 2 bottom bolts on the front of the stem I can slide the bars out and new bars in. See pic. There doesn't seem to be a traditional clamping mechanism. 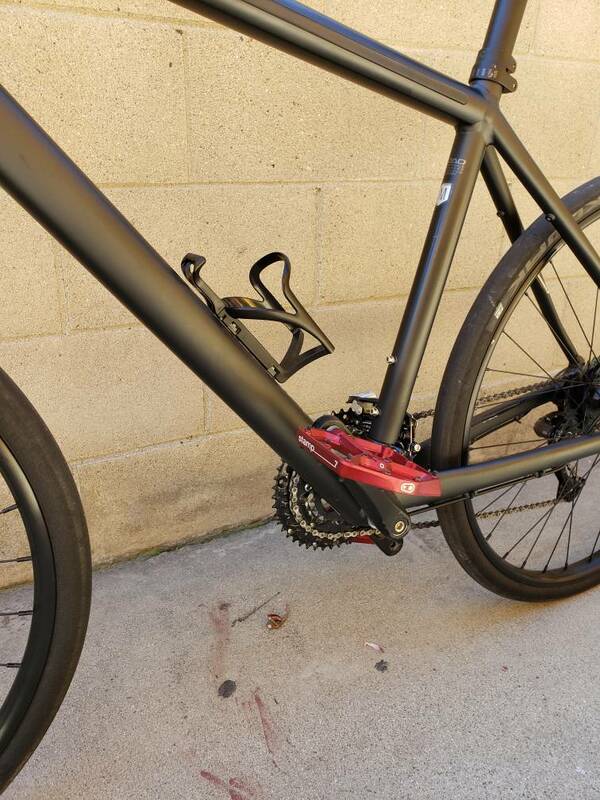 If I go carbon I assume some assembly paste will be recommended where the stem contacts the bars. Also is it recommended to apply fresh threadlocker. Would carbon be a waste on such a heavy bike ? I am only replacing the bars as I want something matt. IMO no, as the additional benefit will be to dampen chatter. Put an Easton riser on mine, pleased. Thanks. 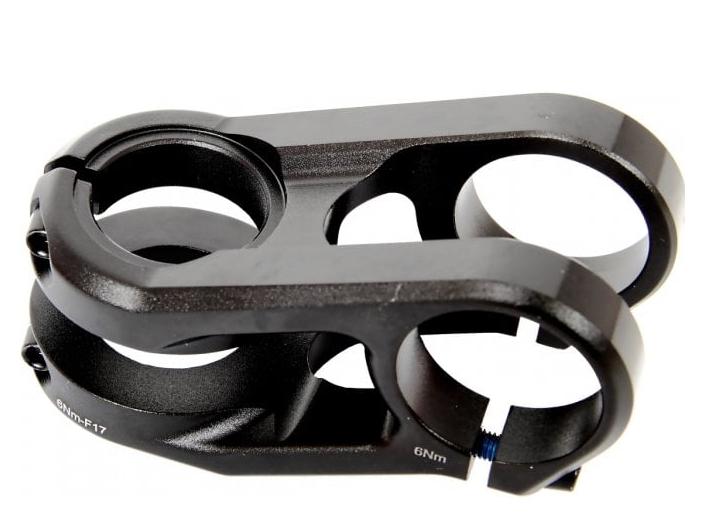 I am eyeing up the race face next 3/4 riser. Only concern is not scratching the bars inserting them through the stem bracket seeing as theres only 2 bolts. Hope it opens a nice bit. What assembly paste is recommended for the inside of the clamp that will be making contact with the carbon bars. Presumably i can tighten less 6nm recommended. Do the 2 stem bolts need the locktite cleaned off and reapplied. By the way people keep telling me they heard bikes with the gates carbon belt drive are silent. On my BB1 from day1 i can hear the belt as i turn the cranks, like the noise from an exercise bike in the gym. Some of its the hub but not all i guess. Eventually it fades into the bsckground and hear the odd click when i stop pedaling to change gear. Belt was 89hz from the shop and i rode a few hundred miles like that. Now around 53hz. 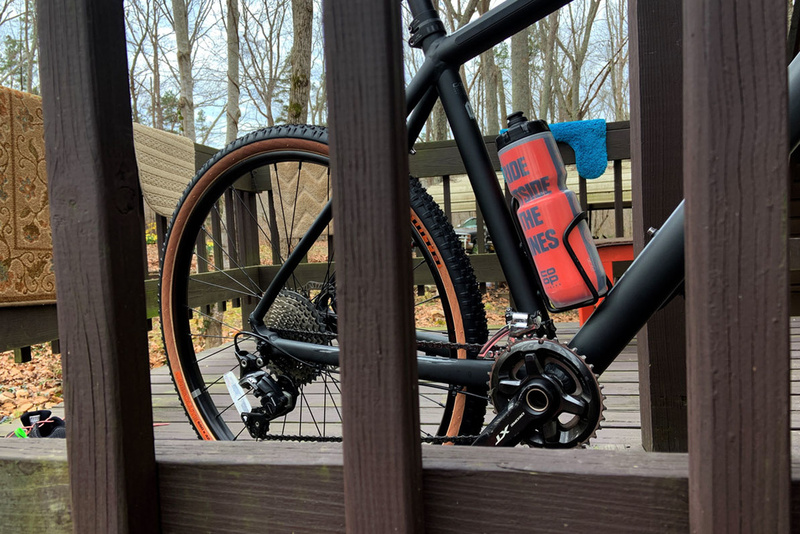 @Hank Alfine8 is not completely silent, especially on the stock grease. It will get more silent after the first 1k km or after you do an oil bath for it. Also occasional clicks during freewheel or when you stop pedalling are common, not to worry. 53hz is fine, but you may want to drop ut to 40hz just to see if the sounds go away. 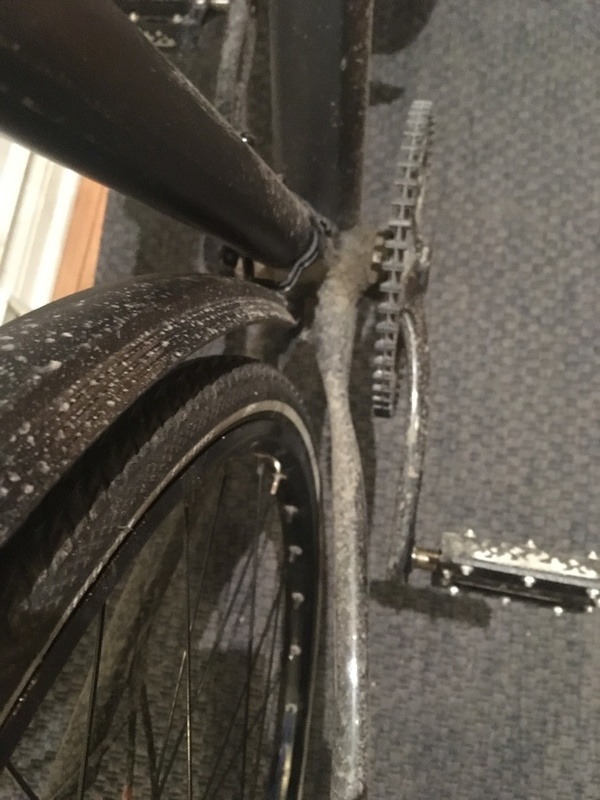 You may want to check your crankset and bb, odd sounds maybe coming from there, especially if you commute heavily in cold/wet weather. WTB Horizons are fine at 47mm sunce they have no knobs. Thanks Buffet. I thought Alfine8 just needed to be regreased every service time/2000 miles and its the 11 that needed the oil bath. What im hearing is belt noise which is resistance/friction i guess but its constant when pedalling and soon the drone goes away. I think its normal. When you had the rear wheel off did you notice if the rear disc takes a standard 6 rotor bolts or if its centre lock. Any pics of the correct way to get the wheel off and do you know recommended torque for the axel nuts? 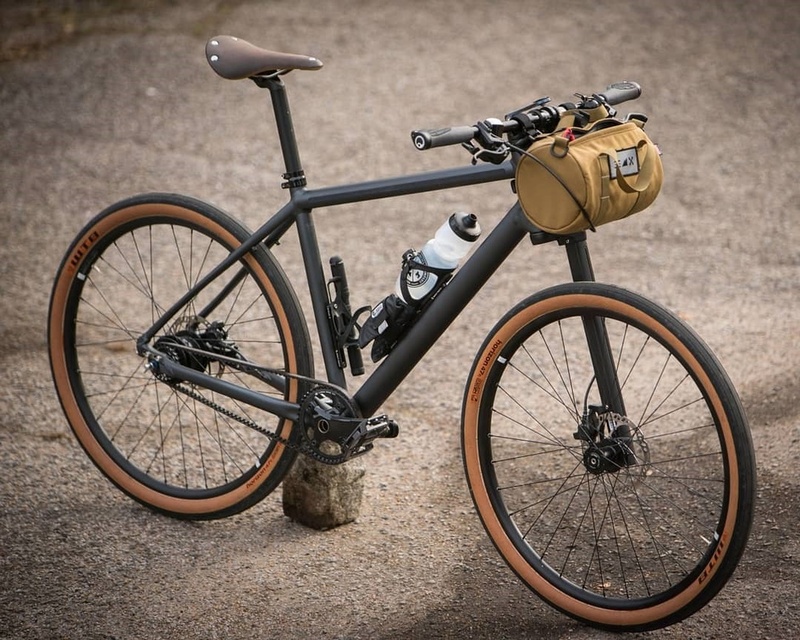 I really want those wtb byway skinwalls. I take it zero clearance on back at max psi?. Thanks. Rear Disc brake is mounted via centerlock. I removed it, then uncrewed the locknut and cone of the LHS bearing and injected some gear oil inside the hub. WTB Byway - I’m guessing you will be rubbing your frame with them, they are knobby right on the edges. @buffet: thanks, guess lbs so as dont have lockring tool. Bike had a fall so need to replace rear rotor. Guess the cheapest centre lock one will do. Pity about the byways being to wide on back fully inflated. Did you skid and fall on ice? No ice here. Left hook from car. Cracked 3 ribs and collapsed lung. Nearly recovered. Bike was ok other then damaged rotor and some paint scuffed on stem. It landed in a bush. I landed on the road. Lol. So a centre lock removal tool then. Like this. Guess ill need a wrench too. Mines vanished. Thanks. BMW and audi drivers dont, especially when on the phone and doing makeup at same time. Went out to my lbs today (by taxi) and they have the WTB Byways tanwalls in stock and at half price as last ones. Any chance if you still have your byway's installed you could inflate to max psi in the back and let me know if you have clearance still. I think max psi is 55. My Byways (stock 40mm) are kept at max psi of 70 as I'm a heavy rider and LBS shop advised it to avoid pinch flats. So not even sure a tire with more volume but lower psi like the tanwalls would be suitable. LBS are also pushing the marathon pluses. But over 970g each !!!! Sorry, I don’t have the Byways, only Sendero and Horizon. Once again - from looking at Byway pics, I suspect the knobs will rub your frame at 50psi. 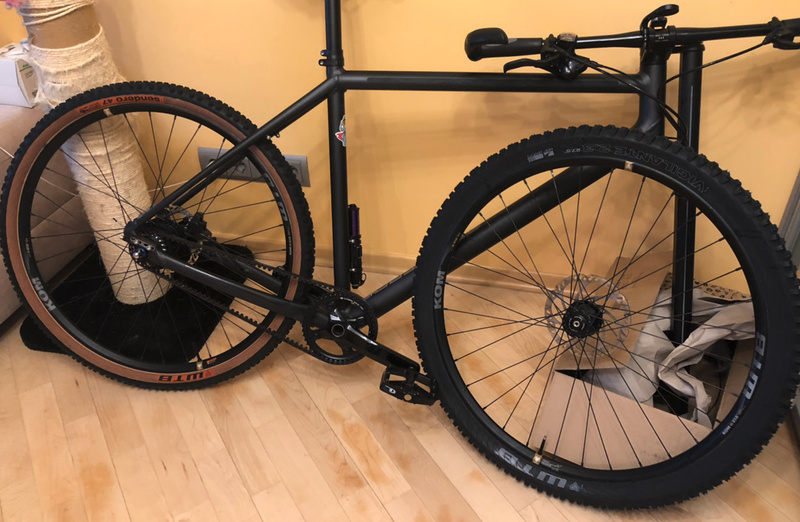 Can you ask your lbs to let you install one tire on the condition that you buy it if it fits? If it doesn’t, they can just carefully repack it. @buffet : good idea. Another possibility is these 47mm horizons. Do you know what max psi on these are (i think 42) and if would fit on back. As i said earlier i run my stock tires at max 70psi as im over 100KG so not sure how higher volume 47mm tire @ 42psi would work out. About to install carbon bars on bad boy1, just waiting for carbon paste from a friend. One question, the 2 stem bolts have threadlocker on em, still intact. Remove (not sure how) and reapply or just reuse as is? WTB Horizons are rated 35-55 PSI (min/max). They are a higher volume tire compared to your stock one. So I suggest you install it tubeless (at least the rear one) and pump 40 psi. You can ask your lbs to do it, if you don't want to mess with it yourself. Just add a drop of blue locktite when you tighten them, but it's not strictly necessary. Haven’t decided on tubeless yet tbh. The messiness of it I guess but we will see. I suspect with a tube the extra 3.5mm on either side would be very tight. Can barely get my index finger between tire and right chainstay. I just want tanwall tires. Lol.. Thanks. Tried my new carbon bars. What a pain getting em on, had to use silicon spray so I could slide them through stem without marking them. In the end I preferred the feel of the stock bars which incidentally are 680mm (written on them) and not 720mm as advertised by Cannondale. So returned the carbon bars to the shop today. 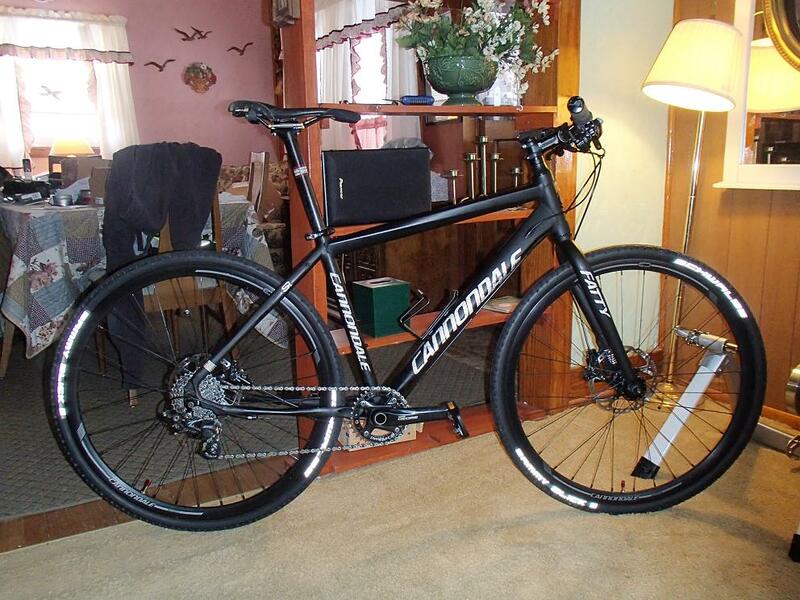 Shop is gonna just get me an exact version of the Cannondale bar except in matt black. @buffet : so need to replace damaged rt26 rear centre lock rotor. Going with a slightly better rt54. Shimano say our calipers/pads are designed for wide track rotors anyway. And it was 8 euro. 2 questions, I got the tool to remove the rotor. Do I need to retension belt after I get it and wheel back on ? 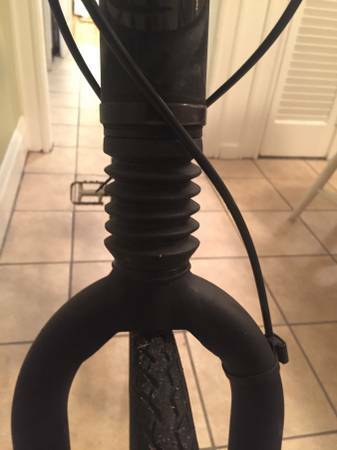 What's best technique for detaching gear change cable (bike will be on repair stand) ? Should rear wheel be perfectly centred. Mine isn't. Seems a couple mm to the left though chainline looks correct. Thanks. To remove the rear wheel - put the bike on stand, change gear to 8 (this gives you the least tension of the gear cable). To get even less tension, rotate the cassette joint clockwise, it will give you some slack on the cable and you can just flick out the cable nut with your hands (or you can use a screwdriver/pliers to take it out). Then you just unscrew the axle nuts and remove the wheel. Putting the wheel back on is just doing all of this backwards. The only thing - I find it more convenient to install the rear wheel when your bike is upside down on the floor. This give me more guarantee that the wheel axle sits fully in place. After you're done with the wheel, check belt tension with your smartphone app. I figured that for some reason sometimes it loosens itself after rear wheel manipulations, so I check it every time now. I learned quite a bit from his videos. Thats brilliant. Thanks very much. 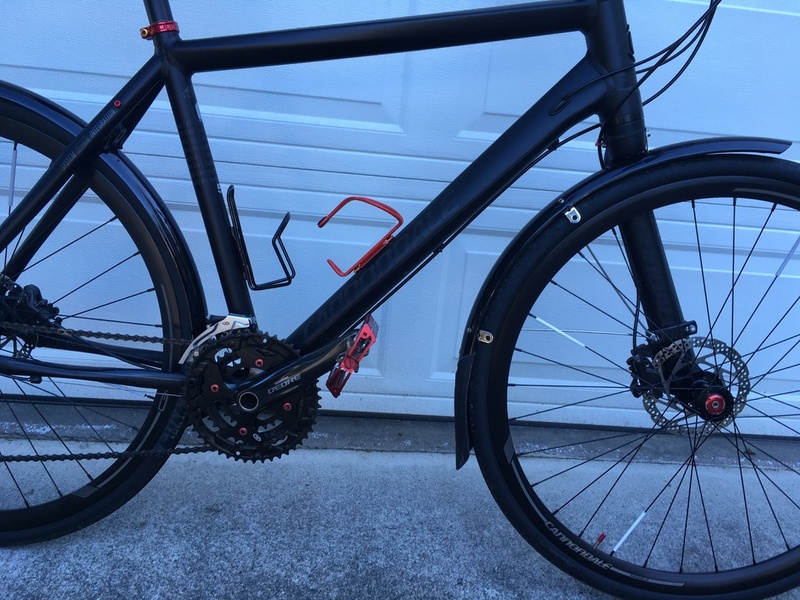 Bad Boy gurus, I've found a 2015 spec BB1 for sale. 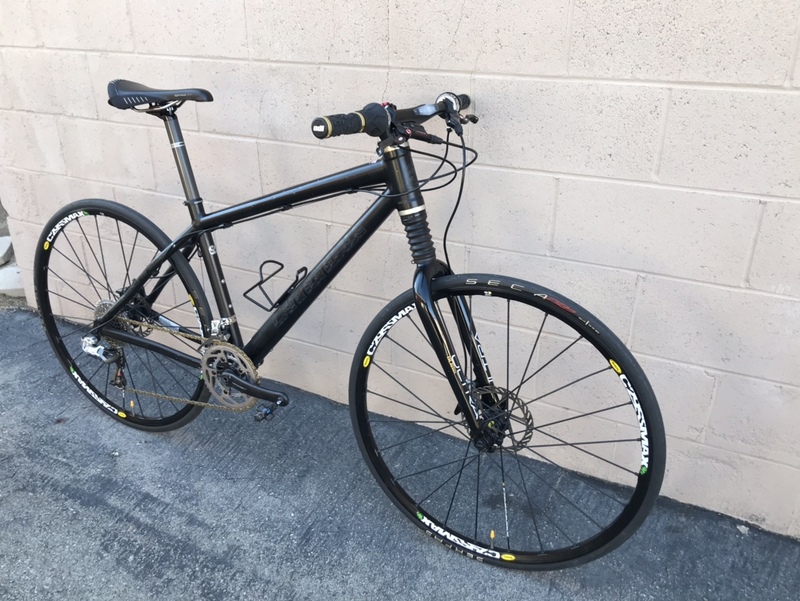 I'm considering going to see it later this week BUT I'm totally unfamiliar with anything with an IGH or Cannondale's eccentric bottom bracket. I can only see that they've upgraded the pedals to what looks like Crank Bros. platforms - a good sign that maybe the owner knows what they're doing. Is there anything I should closely inspect or run away from? 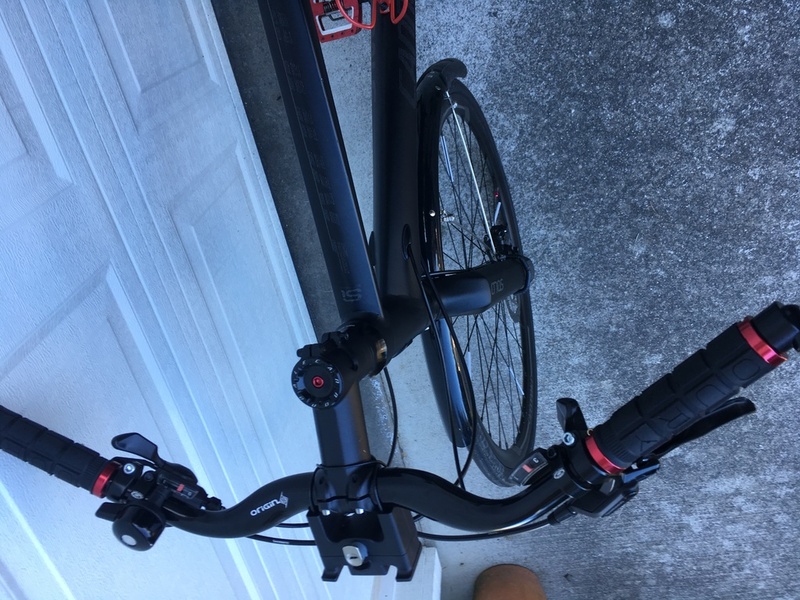 Is there a major service issue with the bike that maybe I should walk away from. I see in 2017, C'Dale totally changed the Lefty set-up to side-by-side tubular fork and did away with the silly upward light in the handlebar. Last edited by Heist! ; 02-11-2019 at 11:43 AM. 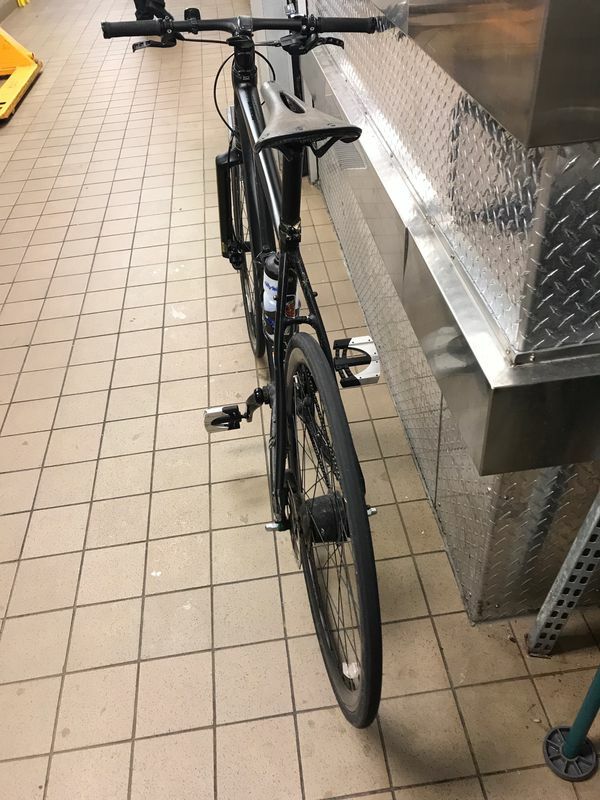 2 Heist: I've never purchased a 2nd hand bike myself, but I would basically inspect the frame and fork for any possible cracks; try to push the fork downwhile holding the front brake, see if there is any unusual play. As for the IGH - there isn't much you can do to check it without disassembling. But make sure you switch through all of the gears while pedalling, look for some unusual noises. 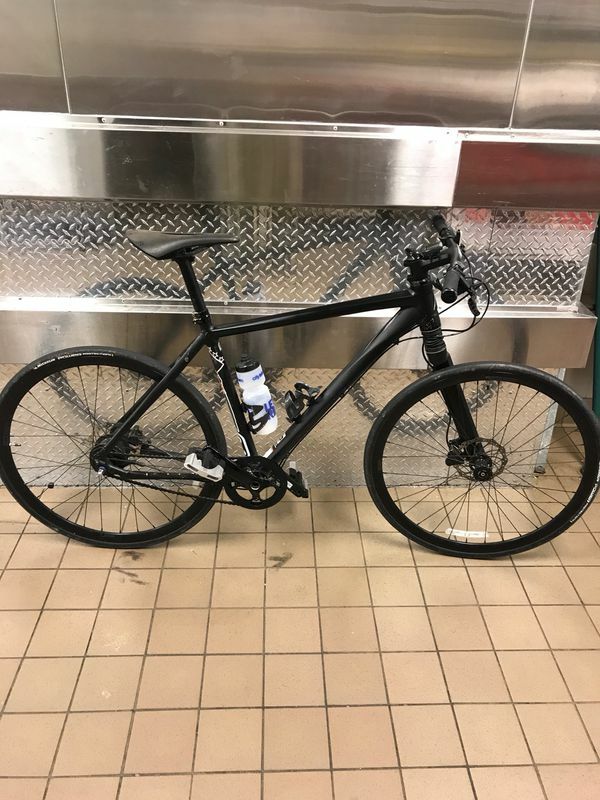 I just got the 2018 Bad Boy 4 for commuting, I'd like to upgrade the crankset and bottom bracket but not sure abut the size and type. If you know please help to share the info. The Bad Boy C2, 650b, double wall wheels, are they tubeless already, I have a set of Raceface AR 29 wheel laying around, can i use them? Please help, thanks so much in advance. Nice stem! 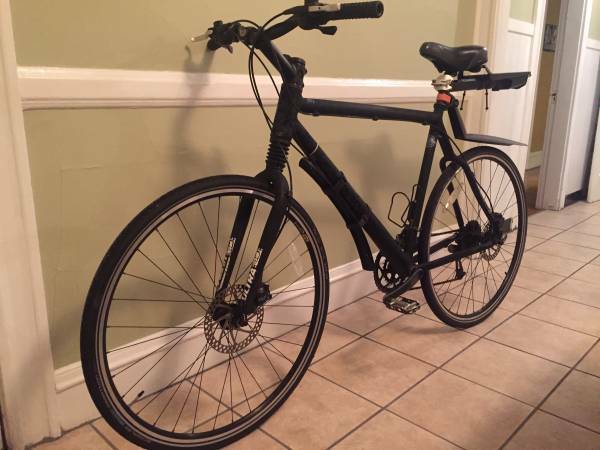 How does one find out if it would it a 2001 BB Ultra? My (very) stock BBU has a two bolt stem size for 25.4 bars. I'd like to replace it with one that accommodate larger diameter bars for more options. Here's my bb. Picked it up about a year ago but didn't really ride it much, but these last 3 months I've been riding the heck out of it and loving it. Only upgrade so far have been the crank brothers pedals. To be honest I have no idea. I'm not gone on this stem as you literally have to remove the 2 bolts and slide the bars in/out. I wasn't able to fit raceface 31.8mm carbon bars without risk of scratching them even though they were the same dimensions as stock bars. But I did fit a cheap low rise set of cannondale 680mm bars in matt black. The stem can be bought for about $60 by the way. 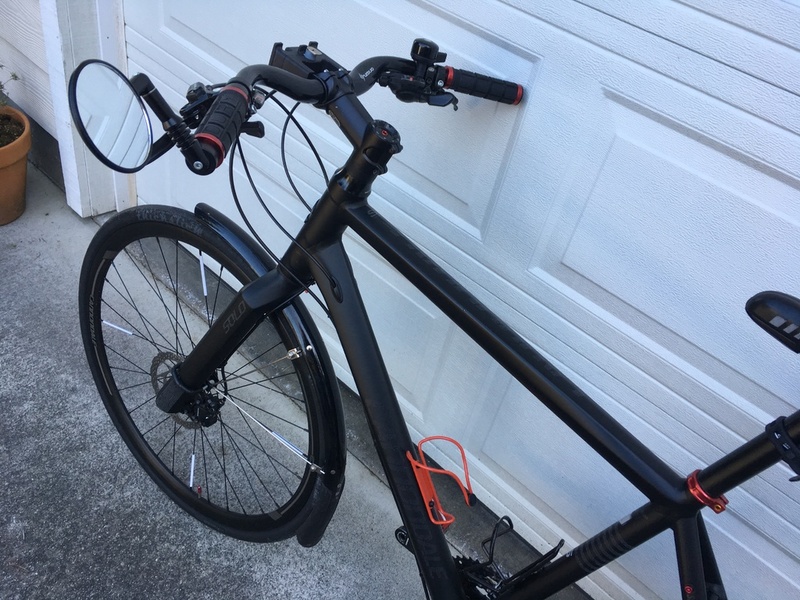 Also I looked at replacing the stem with a stock road or mtb stem to give me more options but that was a no go as the total stack height including bearing was 40mm and 10mm of that is the lefty crown attachment which goes in between the stem. So I'd need 50mm of headtube space as most stems are 40mm. I even looked at swapping headtubes with my friends bad boy 4 but his headtube was even shorter than mine. I need few advice because I will modify the base model ( Bad Boy 4 ) make it looks much more cooler. 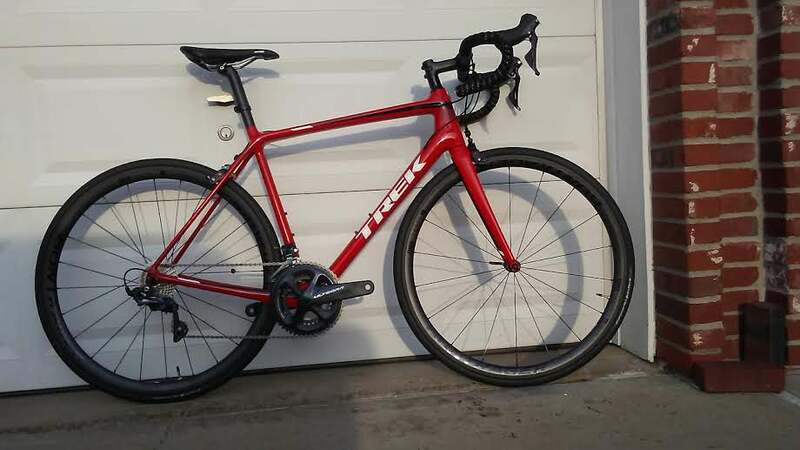 I want to replace mechanical disk break, hubs and rims to . Crankset will be Sram Rival 1 ( 175/50) , rear Derailleur Sram 1 110 speed . Bad Boy 4 (2019) on sale now :£560 . My calculation after I sell all spare parts come off the bike approximately ~ £850 all together so lower than Bad Boy 2 and only £150 higer than Bad Boy 4 original price . So what do u think ? Can be done ? Any advaice more than welcome . Thank u and have a nice day ! Last edited by ExistedName; 02-28-2019 at 04:28 PM. 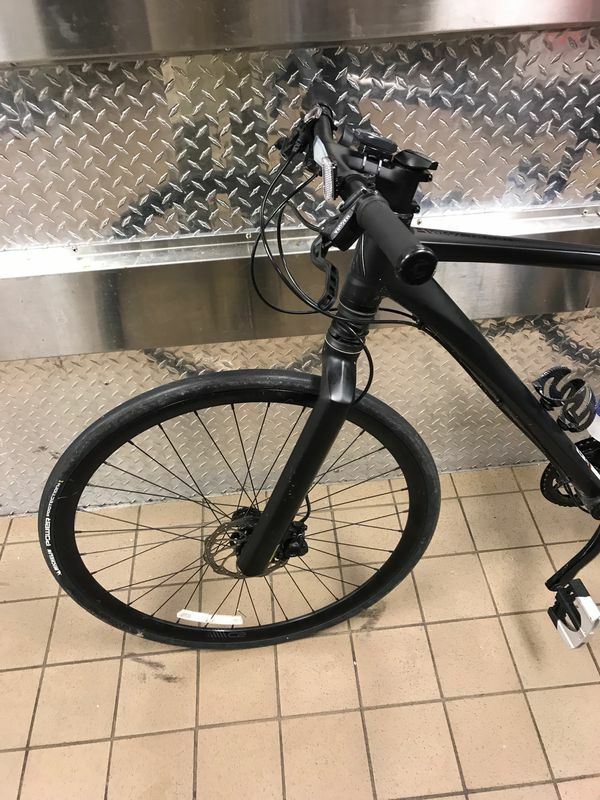 Cannondale does not offer touch up paint anymore. Their official advice is to use hobby model paint as you get a wide color variety and model paint dries up to a more similar-to-original color. Great pics and scenery! Are those the WTB Resolute tires? A few updates from previously. 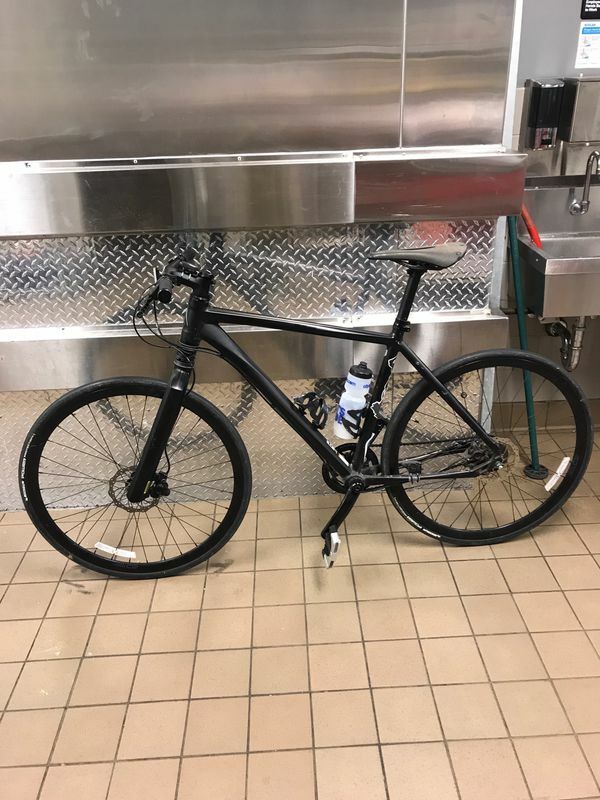 The BB has become my work commuter. 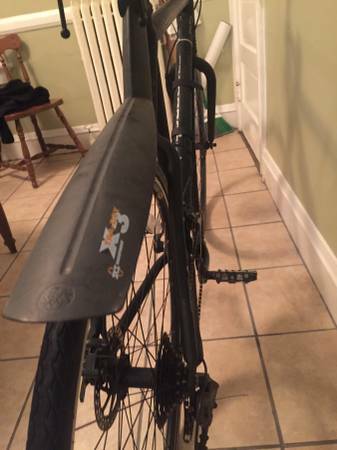 So, fenders, a gullwing bar, comfy seat, and ortleib bar bag (mount only shown here). Note I had to create a modified bracket to mount the front fender. My favorite upgrade is those gullwing bars. For me, they dramatically improved the ride & comfort of the bike. These are Origin8, but many companies make a version. It's my understanding the Cannondale bikes with Headshok have to use a proprietary stem...if correct, I'm guessing your bike does not have a Headshok? The (vintage) factory stem on mine accommodates 25.4 handlebars. 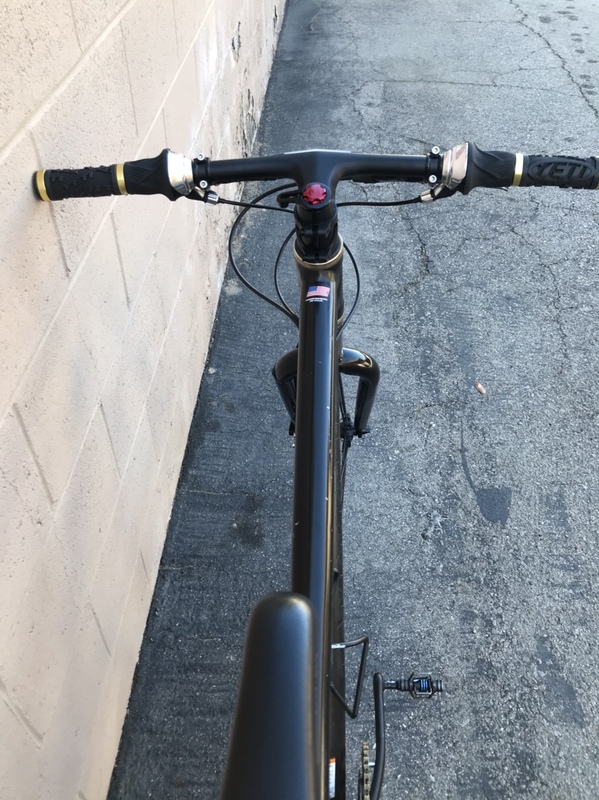 I'd like to get a different stem that will fit 31.8 so I have more handlebar options. 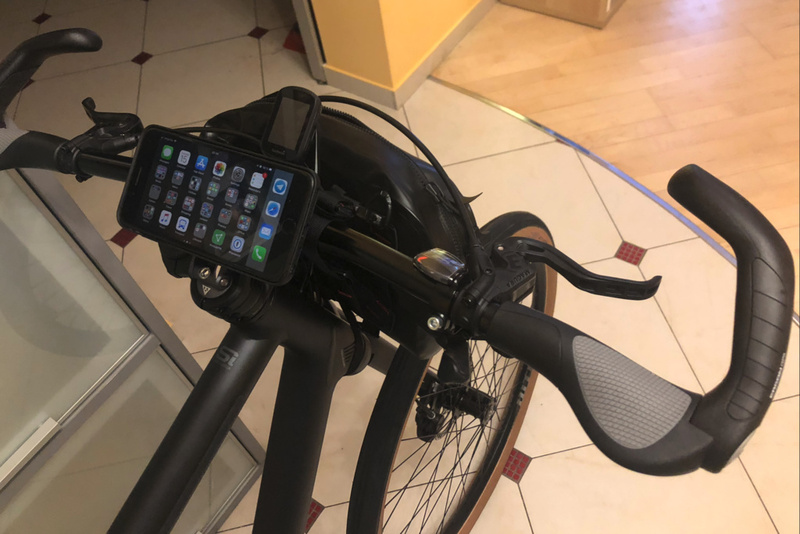 Have any of you gone this route - change out stem so you can use different diameter handlebars? If so, any recommendations and suggestions? 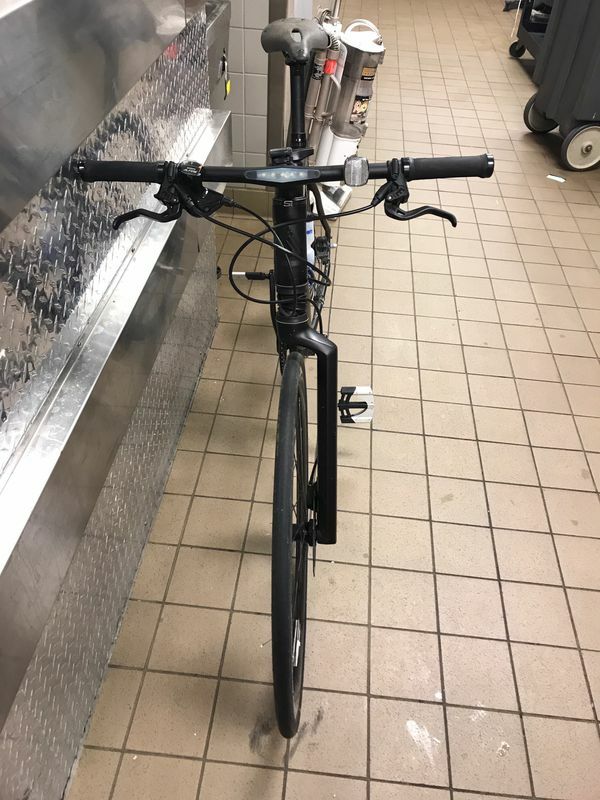 @Hank, whats the model name for Cannondale matte bars that you got? It is not a recent model. It has got an old ultra headshok fork on it. And the seatstays are similar to Caad 2/3/4 frames. I guess that it's from arround 2000 or even before. It could be a early bad boy or just a normal black F serie frame from arround that period. It's clearly a 2001 Bad Boy Ultra, with beefy CAAD4 frame, in size L. The "World Championship" sticker on the seat tube confirms this(Cadel Evans' U23 MTB World Championship, in 2000). Nice, I was close hehe. Good to know about the WC sticker too. Did the tyres fit ok? I am thinking of going a 51mm tyre (2") so interested to see if if the 47mm was ok on the back. Great setup! I just got a 2018 model Bad Boy 1. What width are those tyres you have on there? I am thinking about putting wider tyres on but not much room on the back. Hahah great setup. Love it. So 47mm with knobs largest on the back. What about a slick tyre? Think a 51mm would fit? i.e. 2" slick. I would advise against 51mm slick. I would say that 47mm slick is the widest that fits. 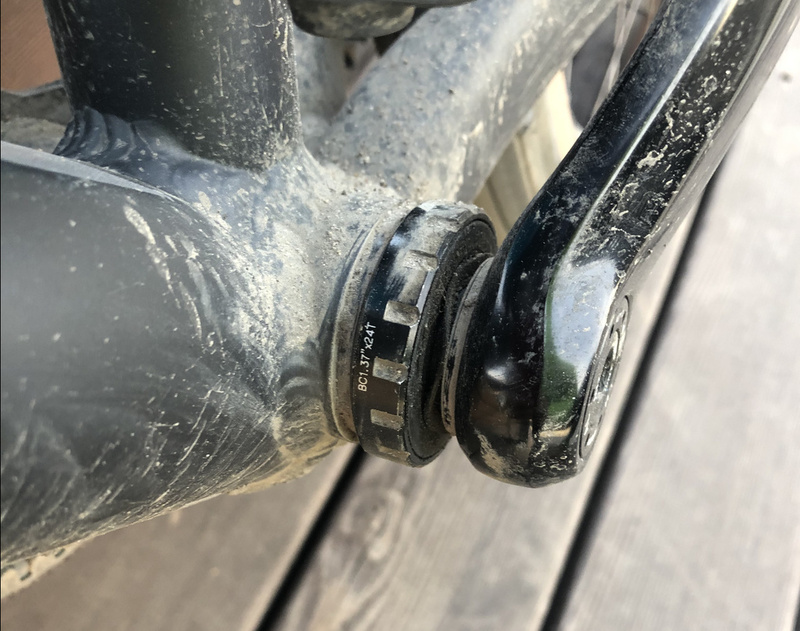 47mm knobby WTB Sendero fits only when inflated up to 25 psi max (even with this pressure you get around 1mm gaps from the frame at chainstay. Which as I stated earlier is fine for snow riding, but you won't be able to ride it in other weather conditions. 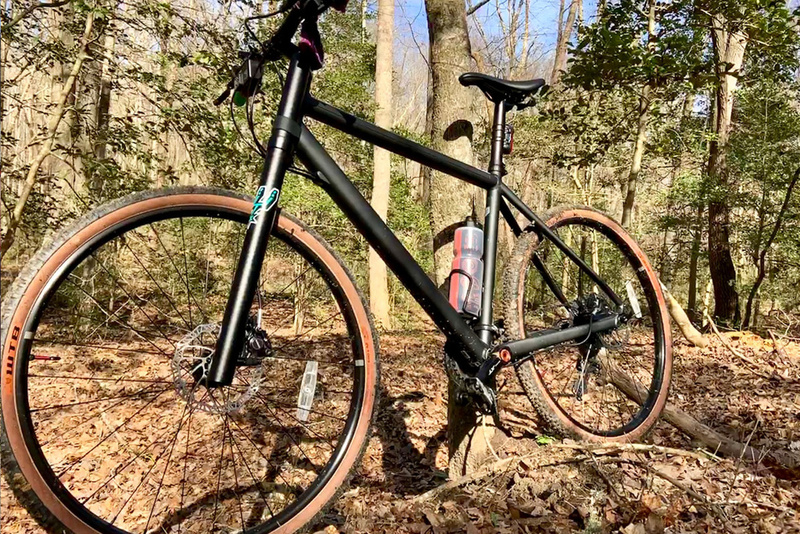 For knobby tires, WTB Resolute (42mm) seems like your best bet for the rear wheel. I wonder if WTB ByWay will fit, it's like semi-knobby. I switched to a lefty Oliver that I sent to Germany to eighty-aid for tunning and extension to 50mm.. Thanks for the feedback on the tyre width. I was going to try the Maxxis Re-fuse. 2". But maybe just a bit too much. Hahah..yeah moto style rear for the back. Would be interesting. 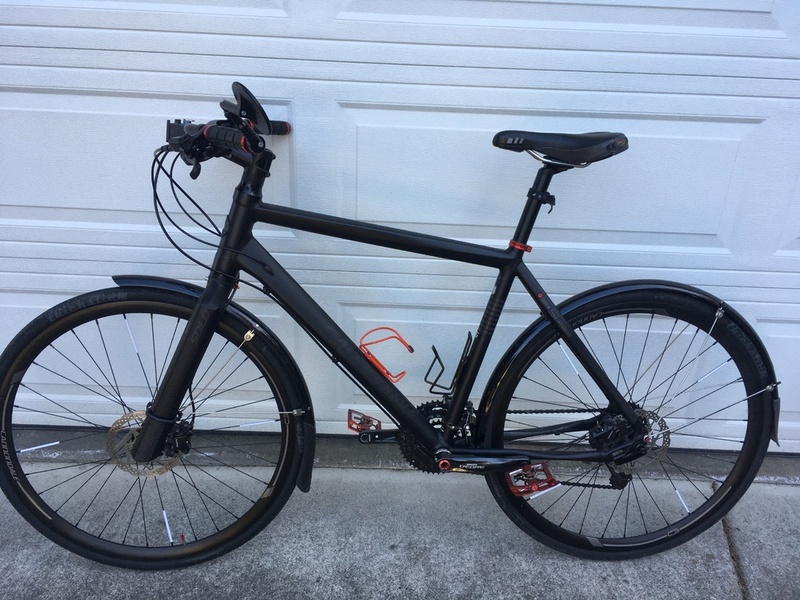 I had looked around for urban bikes with big clearance for urban tyres. The SingleBe would have been perfect but lots of $$$. 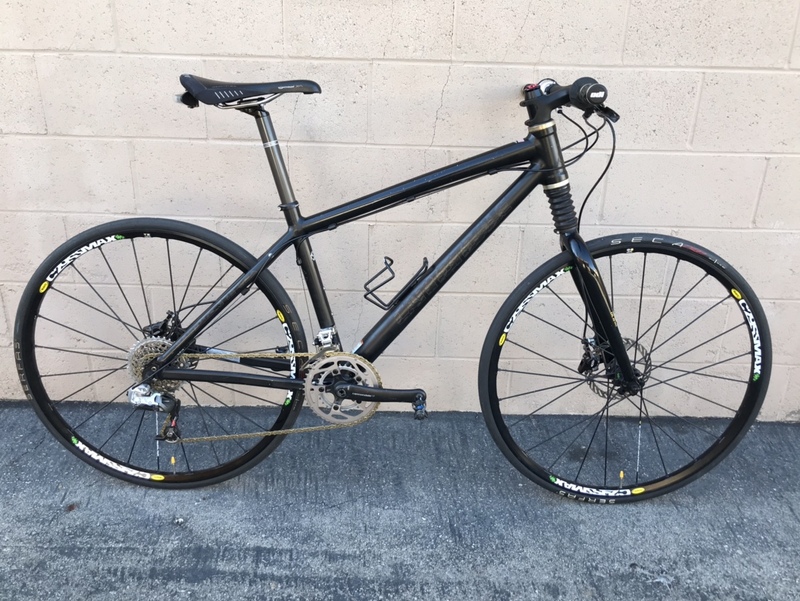 The closest option in price was the Bombtrack Urban. Would have fit bigger tyres but didn't come with the hub-gear. Hey great setup! 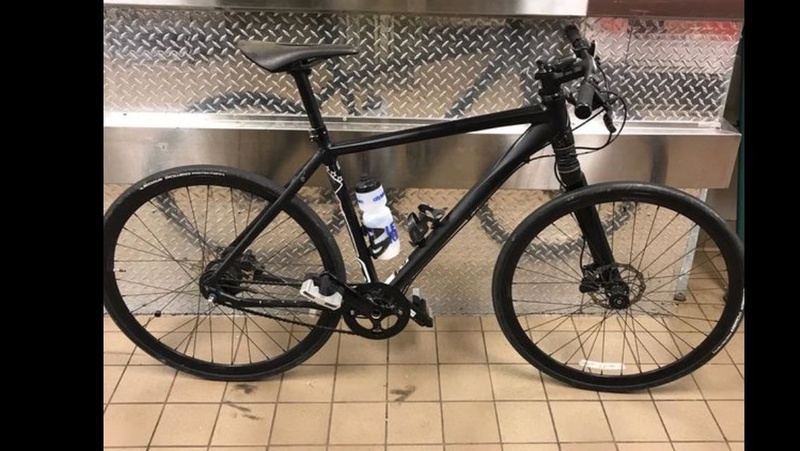 Is that photo of the back chainstay the side with least clearance? I looked at this. Only option for Australia is importing and cost was same as BadBoy 1 in the end. Same as you, I went with the design features haha. This doesn't seem sturdy to me...what is your opinion? I was pondering to install 180mm rotor up front, but now I'm hesitant, due to this unreliable adaptor mounting. That is Cannondorel going cheap, once again. Nobody needs 180mm front rotor on a street driven bike! That is Cannondorel going cheap, once again. Nobody needs 180mm front rotor a a street driven bike! Wow ..... I would have gone for that Hyde Race instead of The BadBoy1 if Cube were available around here .... sad. 1.5kg less , 1000$ less , same parts quality ..... damn !!!! After a couple of months , I like the BB1 , but it is VERY expensive for the package , when compared to that. Well, I didn't pay the full price for my BB1, I picked up a 2018 model for ~$1200, which is not too bad. 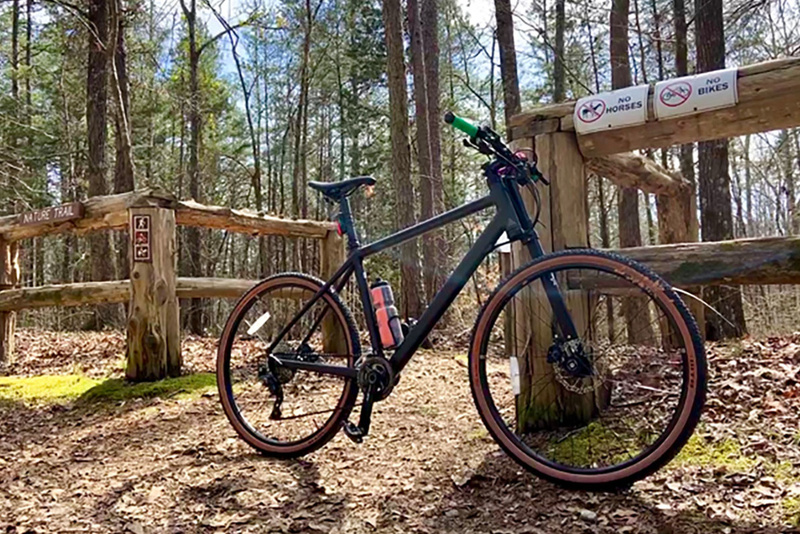 However Cube Hyde Pro/Race is indeed a great alternative. The Pro one has a tapered headtube which means you can fit most of carbon forks and shave off another half a kilo and get more comfortable ride. If it works, why not ? I think cannondale have a good research and product development office for this kind of choice. the brake support seems to be maintain by the axle of the lefty hub the rivets are only here for the angle. Last edited by mig34; 4 Days Ago at 05:48 AM. Here's with a 700X32 , plenty space left. Any decent recommendations for bottom bracket replacement on the Bad Boy? I just fitted a 700 wheel (135mm) I had for another bike to see if it fits. I still run 650 but I changed the hub and rims. 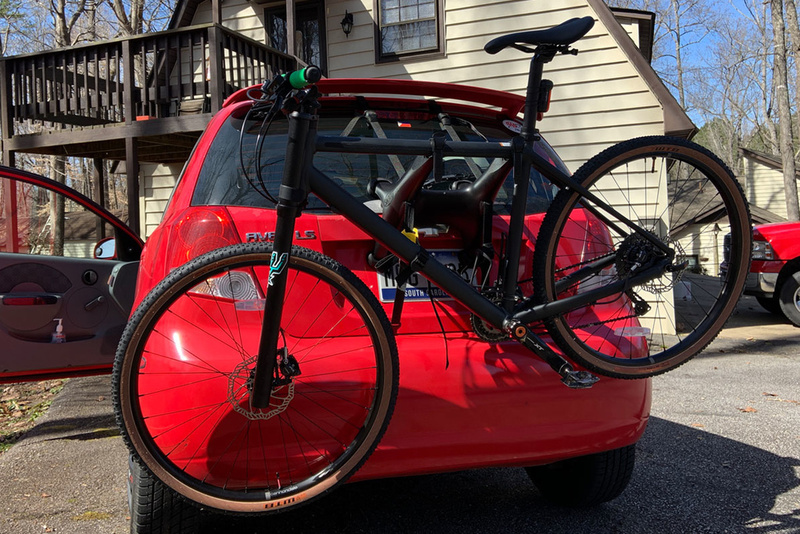 I also previously tested a 26 wheel with 2.4 MTB tires and it fits. I have developed some creaking sound when pedaling, coming from the left side crank (to the best of my knowledge). I think it’s been like this from the very beginning, which doesn’t seem right to me. Does yours look the same? Pouring some water eliminates the noise, but I want to get rid of it completely. Should I unscrew the 8mm hex bolt of the crank, take the crank arm off, clean& re-lube the thread? Last edited by buffet; 2 Days Ago at 11:27 AM. I took off the left crank, cleaned and re-greased everything. When I put it back together and tightened the crank fully, the gap is now much smaller. Looks much better and no noise.